We have learned about light weight concrete and different aspects of it and the aggregates that render lighter properties to concrete. Here we will learn how it becomes light. It is very easy to understand that weight of a material or a material that formed by different constituents can be reduced, if solid content can be replaced by air voids to some extent. The replacing amount depends on the required density i.e. weight of materials to be achieved. As discussed above we need to replace some solid content from concrete. We know concrete is composite materials consists of natural admixtures. Now question is from which we will replace solid content. a. Providing air void to aggregate particles and this aggregate are called light weight aggregate. 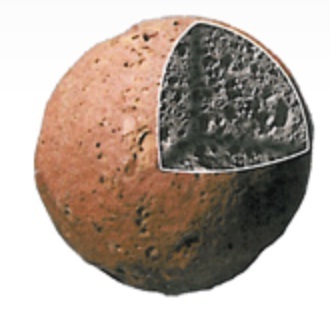 The resulting concrete is called light weight aggregate concrete. b. Providing air in cement paste. 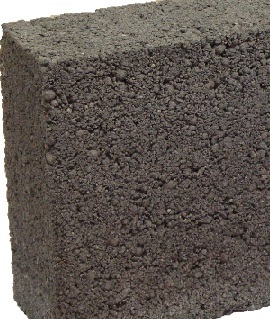 This result a concrete called cellular concrete. We will discuss about cellular concrete in the very next post. c.	Providing air void between coarse aggregates omitting the fine aggregate in concrete mix. This concrete is called no fine concrete. So light weight properties can be brought to concrete in providing voids in these three probable entrance locations. Depending on air entrance this concrete becomes light but have different physical properties and mechanical properties. We will discuss about all verities of lightweight aggregate and light weight concrete as well, in details in upcoming posts. We have already introduced leca-a light weight aggregate in last post. Please stay with us.